Hello from Cusco. Along with three other classmates from New York, I am here to study the Quechua language at Centro Tinku, a language school that is about a 5-minute walk from the Plaza de Armas. 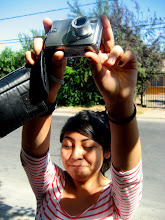 In addition to this intensive program, I am also planning to research photography in Peru for my master’s project. 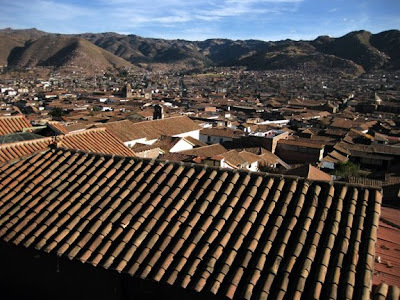 My intention is to explore the many ways that photography may be used in and around Calca, a small town about an hour drive outside of Cusco in the Sacred Valley. While all four of us from NYU passed the evaluation into the intermediate level, all 10 of us in the class have had a different experience in learning the language. Even though our professor in New York is a native speaker from Cusco, it is incredibly challenging to attempt to converse with Quechua speakers outside of a classroom setting. One of the benefits of studying Quechua in Cusco is the countless opportunities we have to practice. Participating in a homestay, I have the advantage of chatting with my Señora in Quechua over a mate de coca or while learning a new recipe. Quechua speaking taxi drivers, waiters and sellers in the market have generally seemed willing to see how this gringa fares: I would say that I know that I have a lot of learning ahead of me, and I’m excited to have so many chances to actually use the language on a daily basis. We are now in our second week of classes, and I finally feel like I may have a grip on being here. The first week was intense, to say the least: adjusting to life with a family as part of a homestay, battling stomach complications due to new food and bacteria, fighting off colds and the flu during these frigid winter nights, trying to wrap my head around a new language. I had hoped to be able to start research in Calca almost immediately, but I see that I needed this week to get settled. In addition to the challenges listed above, Peru is also in a time of political discontentment...more on this soon.